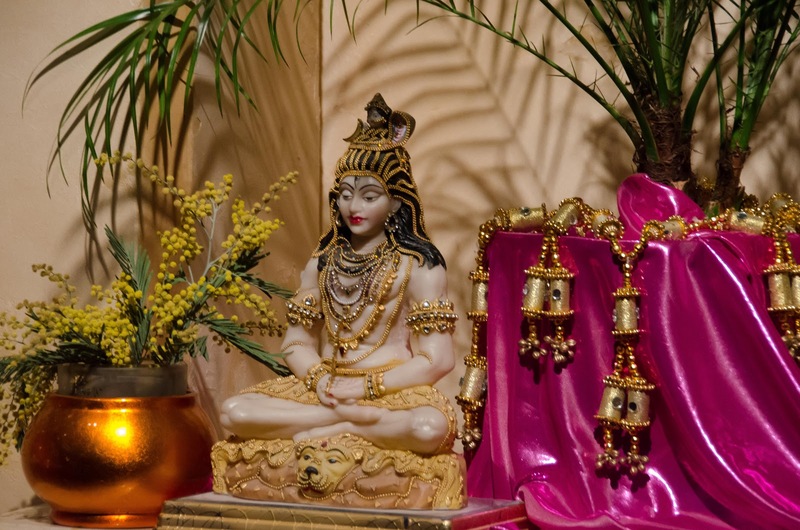 February 20th this year was Shivaratri, the Hindu festival day dedicated to Lord Shiva. We took the opportunity at Friday’s kirtan of diving a little more deeply into the vast ocean of Indian chants. 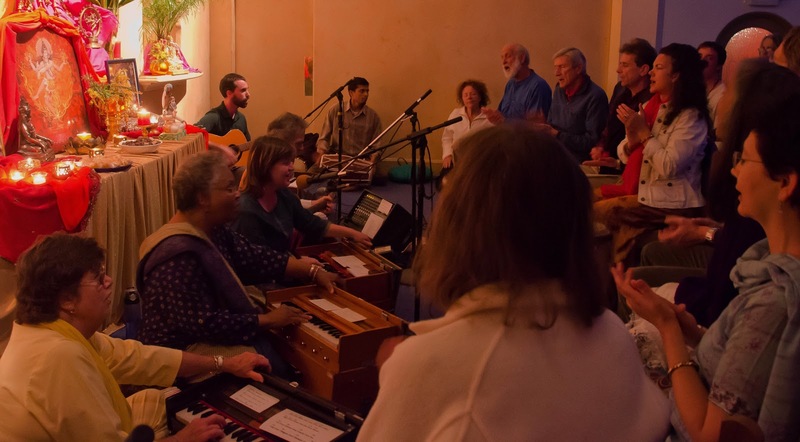 We had a wonderful turnout of harmoniums, guitars, percussion, and singers filling the temple with devotional chants to Shiva (along with a few to his son, Ganesha). As Asha occasionally reminds us, our teachings are “about as Hindu as they are Catholic,” and the style of chanting that Master created reflects that uniqueness of his overall mission. But it’s fun sometimes to tip a bit over to one side of the scale or the other. Repetitions of the many many names of Shiva may not be as automatically meaningful to Western ears, but that can also be a good excuse to leave the intellect behind entirely for a time and just become absorbed in the devotional flow of the music. 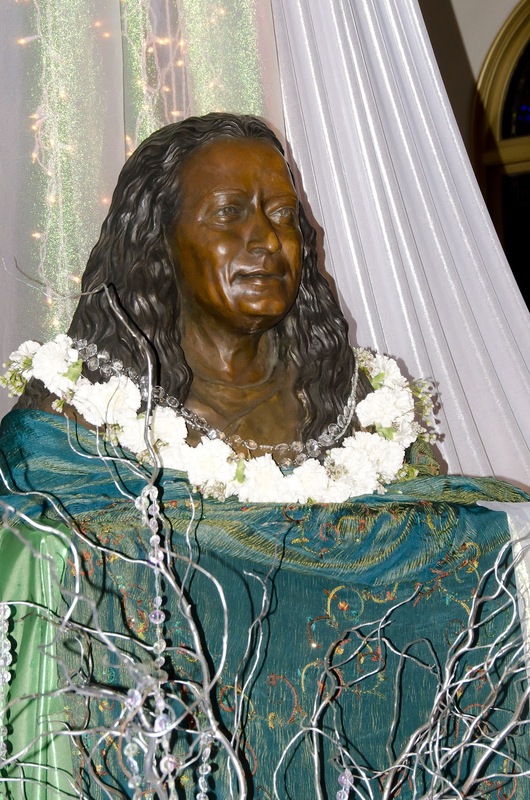 On Saturday night we held our annual Members’ Candlelight Tea celebration, in which we dress ourselves up a bit and come together to celebrate the wonderful satsang we have and the powerful community we’ve created by being a part of Ananda. If you were at service on Sunday, you got to see the magnificent display reaching to the rafters and forming a seat for Master, as our guest of honor. It was just too lovely to take down after a single evening. The “tea” aspect of this evening is a bit of a misnomer, of course. One of the other things Ananda members tend to be good at creating, besides spiritual community, is good food. 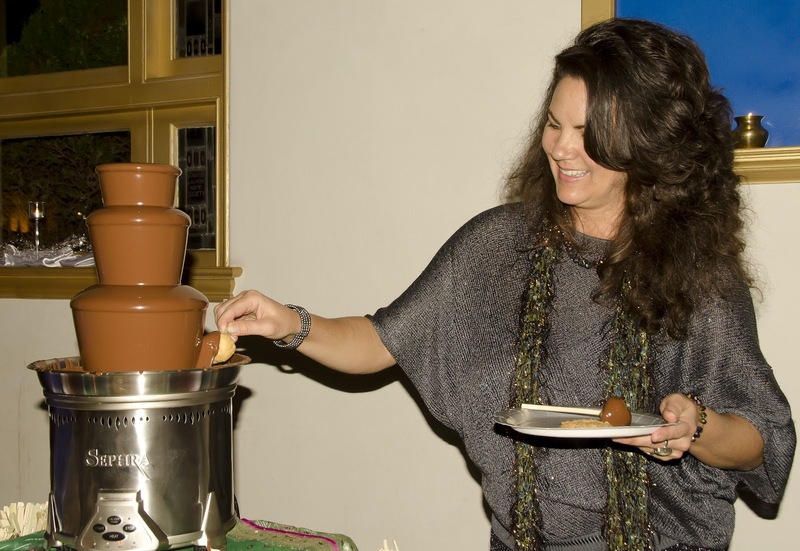 While there probably was tea available somewhere, the Department of Delicious Delicacies was dominated by a potluck spread of both savories and sweets, including the ever-popular chocolate fountain. Another thing we’re good at creating? Music. The choir tends to have more than its fair share of that fun, though, so this time everybody was involved. 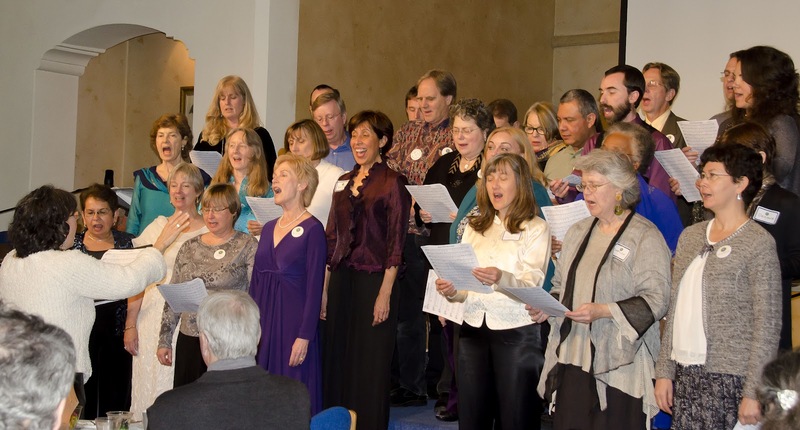 Karen found two songs with nice, simple 2-part arrangements: “I Live Without Fear” and “Brave Were the People.” With everyone divided into four groups, and with a bit of guidance from experienced singers, each group learned one part of one song. Then each half of the audience got to regale the other half with their newfound talents. 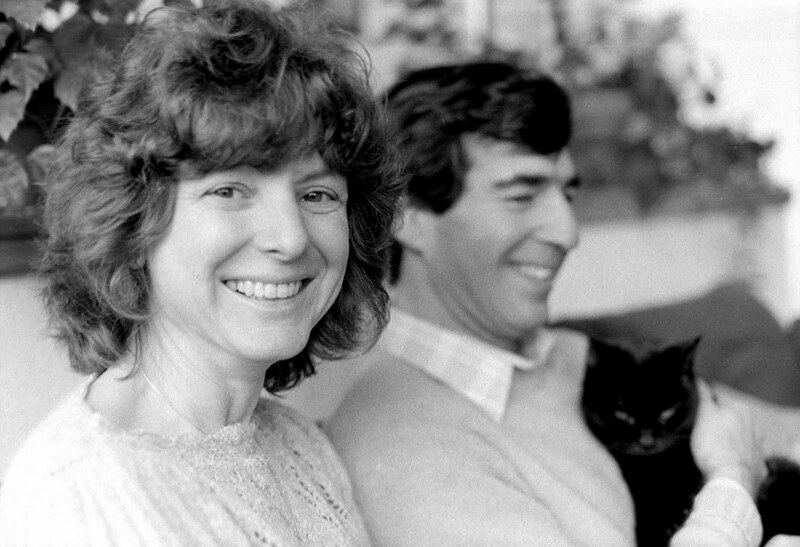 As an added treat for the evening, several of our more historical souls put together a fascinating slideshow. Narrated primarily by David G., the Pravers, and pretty much anybody who wanted to call anything out, it stretched from the early days of Ananda Village, through the founding of the Palo Alto colony, to the present day. If you’ve ever wanted to see Asha in a Mickey Mouse hat, the Ananda baseball team, the original East West store, or the church before we renovated it, now’s your chance. You can see the whole slideshow here, and more photos of the rest of the event here. The greatest blessing in all the three worlds is a true guru, but true gurubhais are pretty high on the list as well. Thank you all.